Do you want to get the best Apollo campervan hire rates? Actually, you don't need discount coupons anymore as you'll find the best prices right here! Search for your car above, or find more information about the supplier below. 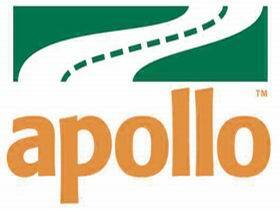 Equipped with more than 30 years of solid expertise by giving an amazing travel experiences across Australia, New Zealand, and the world – the Apollo Campervan Rentals is celebrated as one of the biggest privately-owned and recreation vehicle operators in the world today. Stationed from their head office in Brisbane, the Apollo has collaborated with Hertz Rent a Car to broaden their service offering and give Apollo guests with a global car rental network. At VroomVroomVroom, we can help you get an affordable Apollo RV vehicle for you to truly experience the wonders of travel.